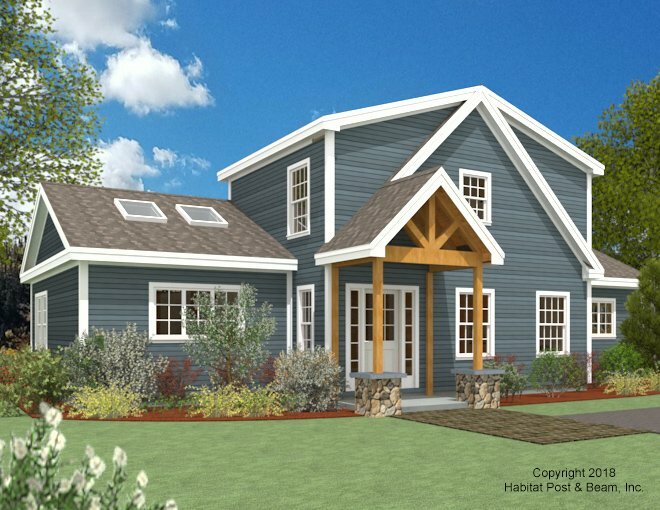 Our latest design is a custom version of our Birch Hill Lodge (http://www.postandbeam.com/plan/56/) with our standard Beamed Exterior Wall System (http://www.postandbeam.com/wall-framing-system), which will be built on a slab foundation in northern Florida. The lower level is about 1700 sq. 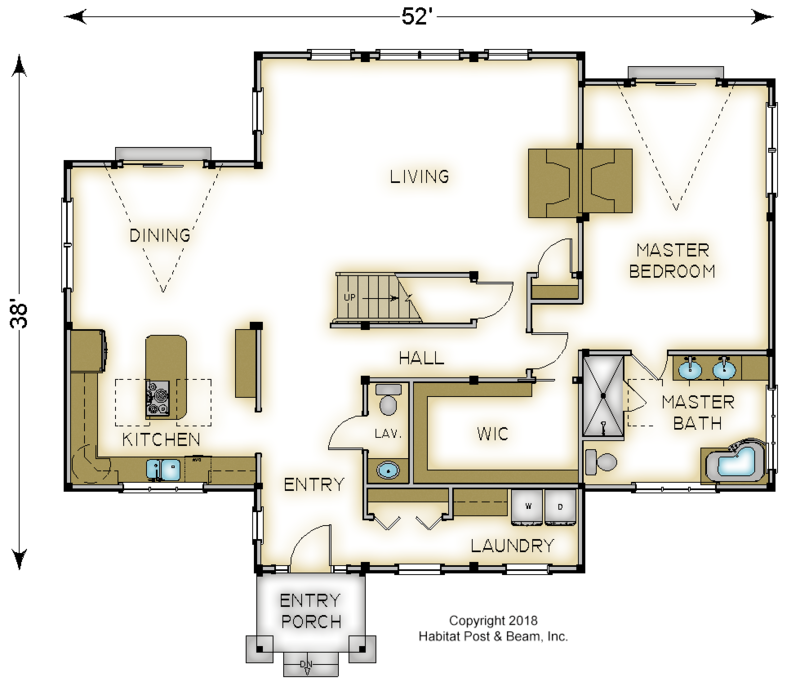 ft., and the center section front has a mud room entry, laundry room, half bath, and the walk-in closet for the master bedroom. This flat ceiling area is under a Beamed Mid-Floor System (http://www.postandbeam.com/floor-framing-system). To the back of the center section is the stairway to the upper level, and the living area with a grand Palladian window wall under a cathedral Beamed Roof System (http://www.postandbeam.com/roof-framing-system). 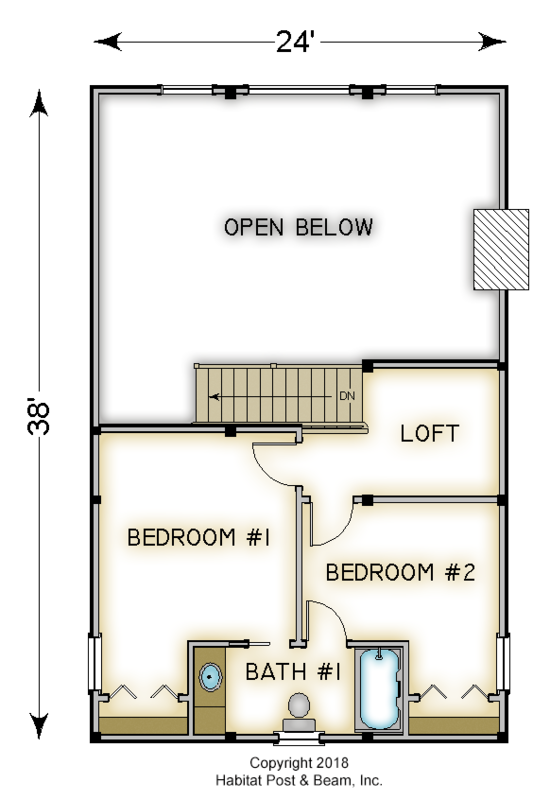 The left wing is a bright kitchen and dining area, and the right wing is for the master bedroom suite. Both wings have arched windows, patio doors, and skylights under a cathedral Plaster and Accent Beam Roof System (http://www.postandbeam.com/roof-framing-system). Upstairs is about 500 s.q. 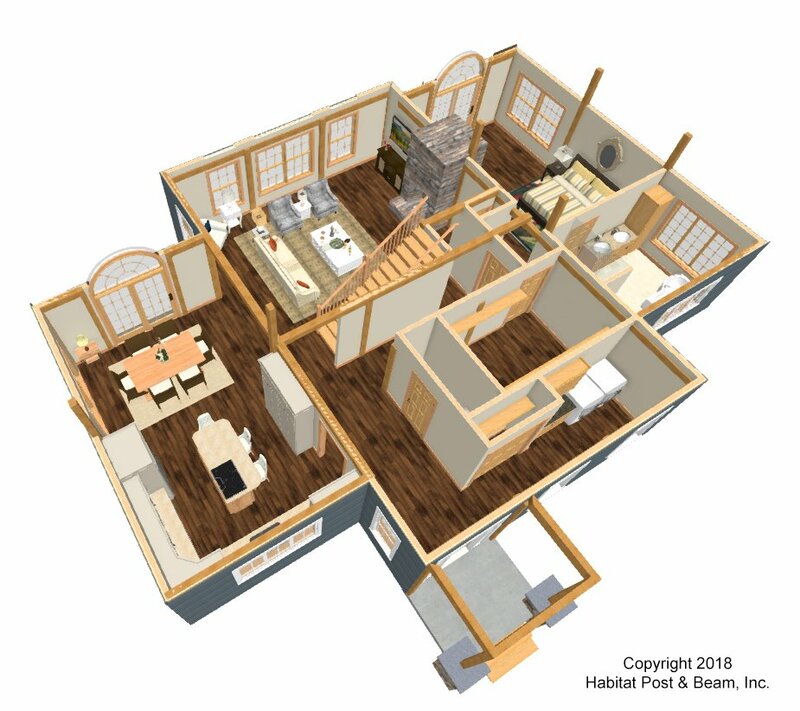 and has two additional bedrooms and a full bath under a cathedral Plaster and Accent Beam Roof System, and a loft at the top of the stair landing that looks down onto the beamed living area below. Package Price: $173,500 as specified below (from $161,000 to $209,000 depending on framing options). 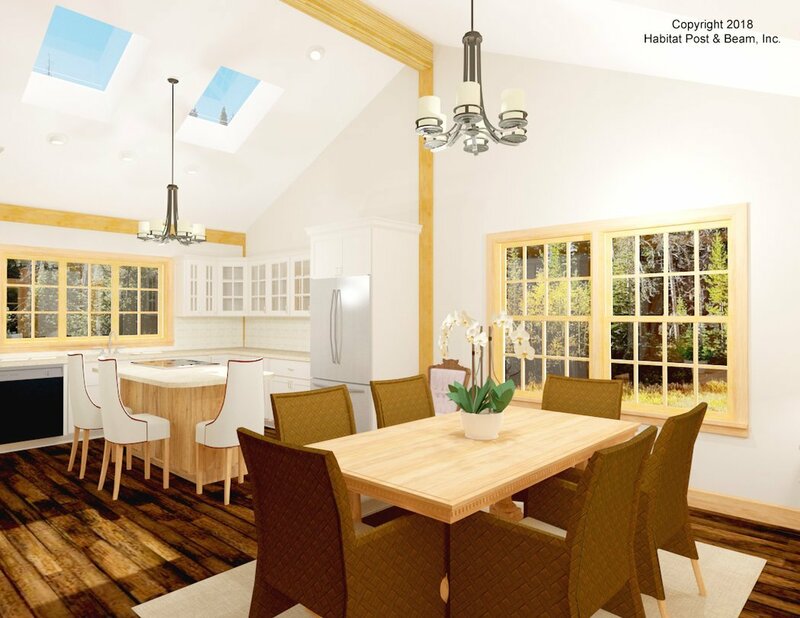 The standard price includes our Beamed Wall System, Plaster and Beam or Beamed Mid-Floor System (same package price), our Beamed Roof System over the living and loft, and our Plaster and Accent Beam Roof System over wings and upper level bedrooms. The entry porch is our Beamed Porch System.